You haven’t had a decent night of sleep in months—possibly longer. Relax, many moms have been where you are. You will learn how to get your baby to sleep through the night. You might hit some bumps along the way, but more importantly, you’re going to be a sleeping mom. At this point, you’ll probably take what you can get. It’s all about planning. If you want to be a sleeping mom, you can’t leave your sleep to chance. Make the decision and commit. Sleep training is not easy. You will need to make a few sacrifices. Depending on what method(s) you choose, it may get harder before it gets easier. BE CONSISTENT. Sleep training your baby will not work unless you can be 100% consistent. If you regress, baby’s sleep will regress and you’d have to start all over again. Decide on a clear plan to follow and stick to it. Babies will wake up if they’re hungry, so eliminate that reason by making sure baby is fully fed during the day. You’ll want to make sure your little one is getting enough calories during the day, and depending on the age of your baby, you’ll want most of those calories to be from food. At one year, your child will need approximately 16 to 24 ounces of milk, formula or breastmilk, and the remaining 900 calories will need to be from food spread throughout the day. That can sound like a lot, but if you feed your toddler food like yogurt or blended fruit cups, the calories add up. Avoid giving excessive amounts of juice. Always check with your pediatrician about their nutrition and weight-gain. You might need more or less calories depending on your baby. Naps are incredibly important for babies and toddlers. When your child becomes a toddler, don’t be surprised if they start fighting their naps. Do whatever you can to keep their naps consistent, with a leeway of 30 minutes. If they don’t take regular naps, they will get overtired, which will make sleeping at night worse. When a baby or toddler becomes overtired, they begin to get restless and worked-up because they’re stressed, and their adrenaline kicks into overdrive. Once you do manage to get your baby down, they will wake up a short time later. You want your child to go to sleep when they start signaling that they need sleep. They’ll become quiet, look off into the distance and show other signs. If you are tired and you want to be a sleeping mom, take a “mom power nap” and sleep while your baby is sleeping. Resist the urge to clean or do chores – you can always fold the laundry later. Babies and toddlers can get easily stressed. If they’re stressed, that stress gets in the way of their sleep. However, developing a regular routine and sticking to that routine helps them to feel relaxed and secure. A bath and comfy baby pajamas, a bedtime story or lullaby, followed by a bottle or nursing. This is a good routine for babies and once they’re set in that routine, they’ll feel more relaxed because they know what’s coming. You can decide how you want your bedtime routine to go, but make sure you are consistent with it. Don’t be stressed while you’re getting your bundle of joy ready for bed – babies can sense when you’re stressed. Once baby is settled into bed, consider a white noise machine – many parents swear by it. (A white noise machine makes a noise that combines the sounds of all different frequencies.) It’s an easy mom hack and it offers many benefits – particularly to keep baby asleep. If you have other children who are still awake or general noises in the house that could wake baby once they’re asleep, you will want a white noise machine or gentle music, to drown out such noises. Offer baby a security blanket or object. Some babies like to hold their lovey or a stuffed animal . Some like to twirl their hair. Whatever your baby likes, make sure they have what they need to soothe themselves to sleep. If baby takes a pacifier , offer it. Depending on baby’s age, make sure there is more than one pacifier in the crib so that if baby wakes up in the night, they can take it and go back to sleep by themselves. A baby’s sleep can be affected by comfort. You want your baby’s room to be a comfortable temperature, and you may need to get a programmable thermostat . Experts recommend a baby room temperature should be between 68-72°F (or 20–22.2°C). Do NOT Overheat the room. And don’t rely on blankets to keep your little one warm throughout the night either. Many babies kick them off, and they can get wrapped around your baby’s head. The American Academy of Pediatrics recommends that for safety, baby be dressed in a sleepsack or wearable sleeping bag . Make sure your baby has a dry diaper when they sleep and use a nighttime diaper that is extra absorbent for the night. Overly wet or leaky diapers have been known to wake sleeping babies. Also according to the American Academy of Pediatrics – for safety, avoid placing toys in their crib. There should be nothing in the crib but your comfortably dressed baby, possibly a lovey and pacifiers . Just like us, babies get used to things. If the room is always dark when baby goes to sleep, he/she will start to understand that a dark room means sleep. It may not always be easy to get the room dark, especially in summer but you may need to get room darkening shades . Also, follow this routine by darkening the room during daily naps. The following sleep training methods are offered as advice from experts. However, it is ALWAYS advisable to follow the advice of your pediatrician FIRST. Also, follow your instincts as a parent – you know what is good for your child, better than the experts. According to Dr. Weissbluth, if you can reinforce good sleep rhythms, you would never have to resort to the cry-it-out or Ferber method (below). This method runs contrary to Dr. Weissbluth’s method above. This method may also sound counter to what you are trying to achieve but this method has been very effective. The idea is that you track your baby’s wakenings for a few nights. Perhaps baby wakes up around 1am and 4am. Try to preempt baby’s waking by waking baby up 15 minutes before they would normally wake up naturally, so approximately 12:45am and 3:45am. 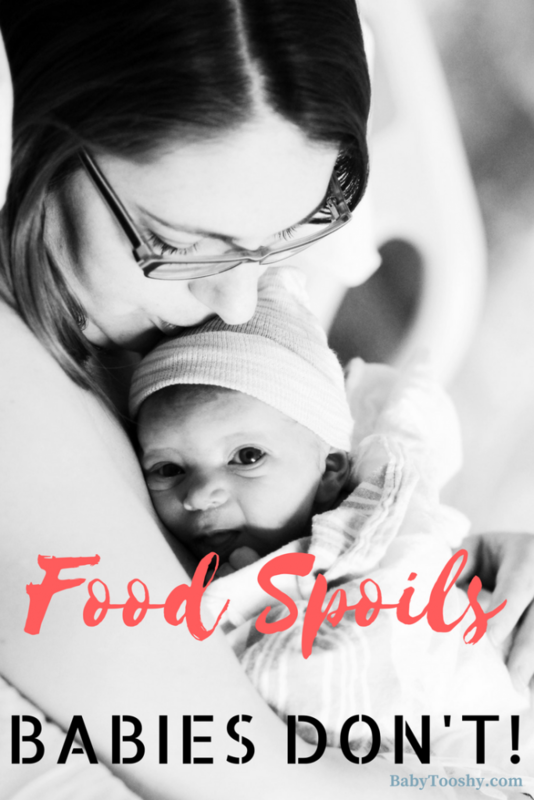 Feed baby if necessary and do what you would normally do to get baby to sleep. The next day, extend the waking time and wake your baby up at 1am and 4am, then do it 15 minutes later the next day, and keep extending the waking time. The idea around this method is that baby starts to rely on you to wake her up, instead of waking up by herself. Unbeknownst to her, she’s sleeping longer and you eventually phase out the wakings. Babies cry before they sleep because they haven’t figured out how to wind down on their own. It’s a good idea to put them to bed when they’re nearly sleeping, so that they’re aware of their environment, and they can get into the practice of falling asleep on their own. The cry-it-out method by Dr. Ferber is a little controversial, but also effective. Some parents simply cannot stand to listen to their baby cry, and for them – this method may be agonizing. The idea is that if you nurse or rock your baby to sleep all the time, baby will be used to this and will rely on it to fall asleep. The goal is to get your baby to self-soothe and eventually fall asleep by themselves. Therefore, if you know your baby is fully fed and clean, with no pain or discomfort, you let them cry in small increments. This is to teach your baby that they have to fall asleep by themselves, without being soothed by you. After hugs and cuddles, you would put your baby in the crib and leave the room. If baby starts to cry, let him/her cry. After about 5 minutes of crying, go into the room, comfort baby for a moment without picking him/her up, then leave. If baby cries again, now wait 10 minutes before going in, then 15 minutes, until your baby falls asleep. The idea of comforting baby every few minutes is to reassure your baby that you still exist and to reassure you that your baby is okay. Repeat the ritual every night with the same timed intervals every time baby wakes in the night. But, with each subsequent night, add an additional 5 minutes to the first interval. So on the second night, wait 10 minutes before you go in, then 15 minutes on the third night, and so on. Baby will cry less and less each night and eventually self-soothe when woken during the night. 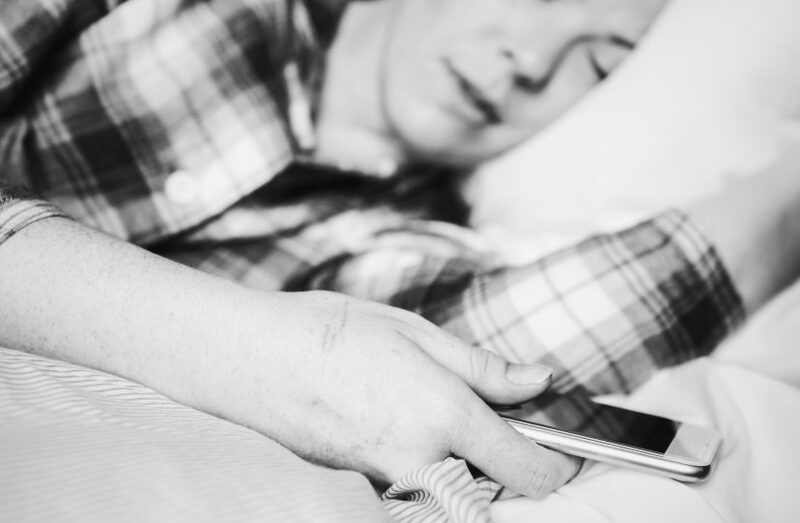 The term “sleeping through the night” can seem confusing and frustrating. There are moms who say that their babies slept through the night from as early as 6 weeks. I’d like to gently tell you that this is the exception, rather than the rule. Younger babies need to eat frequently. Babies’ stomachs are tiny. When they are newborns, they simply cannot eat enough to sustain them through the night. That means babies can’t sleep too long because they need to eat! This is Biology! It doesn’t mean you’re failing if your baby is not sleeping through the night. 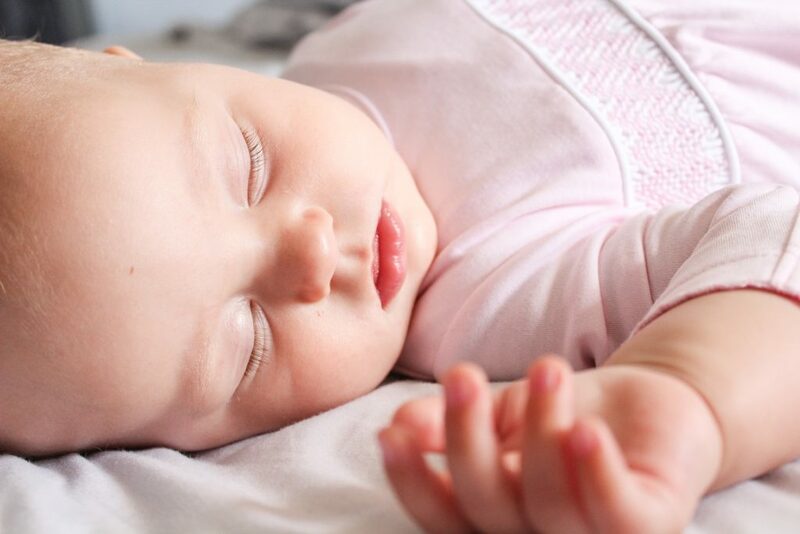 Remind yourself – my baby is not sleeping through the night YET! 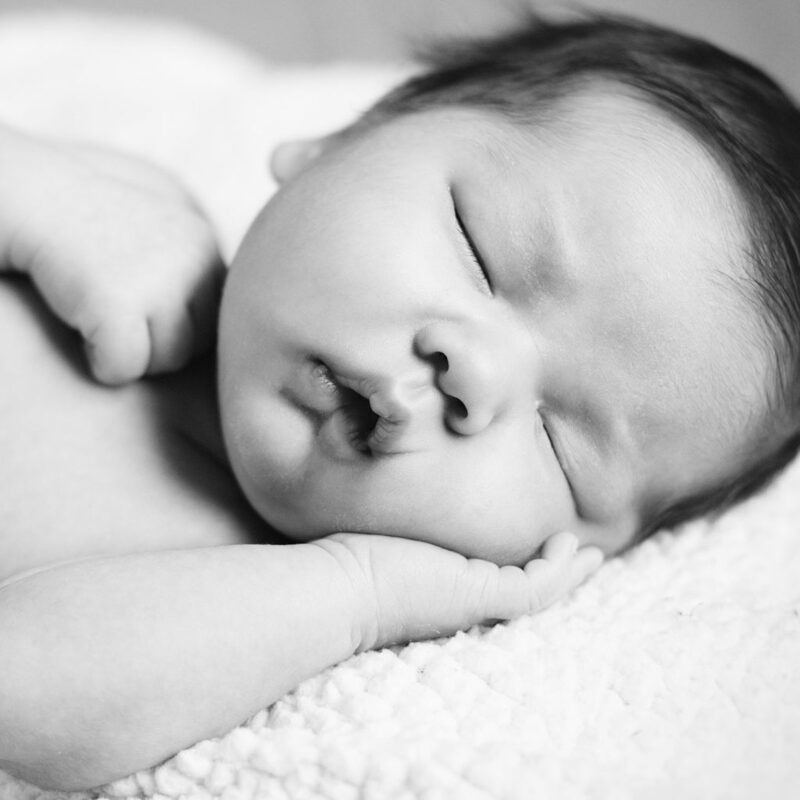 Newborn sleep occurs in short spurts between two and three hours because they need to eat frequently. It’s not until they’re about 11 pounds that they can sleep as long as six to eight hours without a feeding. Yes, you are yearning for the day you can sleep a solid eight hours, but remember that a sleep cycle is about 90 minutes for adults. If you can make it to the 6-hour mark, you’ll have four sleep cycles under your belt. If you need that fifth one, you can take a power nap/ disco nap during the day. That little disco nap can make a big difference. I trust this post has been helpful. With 5 children, I have experienced sleep deprivation far too much but while this is a tough time for you, YOU WILL GET PAST THIS. Here is a bit of advice on motherhood, from real moms like you and me. I read this often when I feel drained, and I need a little pick-me-up. Also, if you have advice for moms who want to become a “sleeping mom,” leave them in the comments below. I’ll be happy to add them. Subscribe to our newsletter & get access to FREE digital downloads exclusive for our members & latest discounts & promos. Our Products: Baby Tooshy products are manufactured with practicality, quality and durability in mind. We spend many months on research and testing. Products are only made available to the public once it has been extensively tested by parents. You can therefore rest assured that Baby Tooshy products are mom approved. We are dedicated to offering you the best possible products. This is evident by the multiple awards we continue to rack up. Our Blog: At Baby Tooshy, our goal is to offer you the best tips and advice when it comes to diapering your child, whether you are planning to use disposable diapers, cloth diapers, or a hybrid. Diapering is simple, but not pleasant. We do our best to offer the best hacks to simplify your life. Get access to the latest promo, freebies, product announcements and much more! © 2016 — Baby Tooshy. All Rights Reserved.